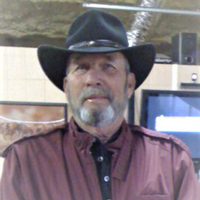 Jerry Don Gray, 79, of Lake Ivie passed away Saturday, April 13, 2019 at his residence. He was born October 21, 1939 to William and Geraldine (Porter) Gray in Graham, TX. After serving his country, honorably, in the United States Army, he began a career in the oilfield. He married Audrey Smith on February 10, 1958 and they shared sixty-one years together. He is survived by his wife, Audrey of Lake Ivie; his children, Kimberly Todd of Odessa and Jay Gray of Lake Ivie; his grandchildren…. ; and a sister, Sandra Smith of Dallas.